I whipped this up tonight from stuff I had in the fridge and freezer and it turned out great! Perfect for a cold, snowy night like tonight. 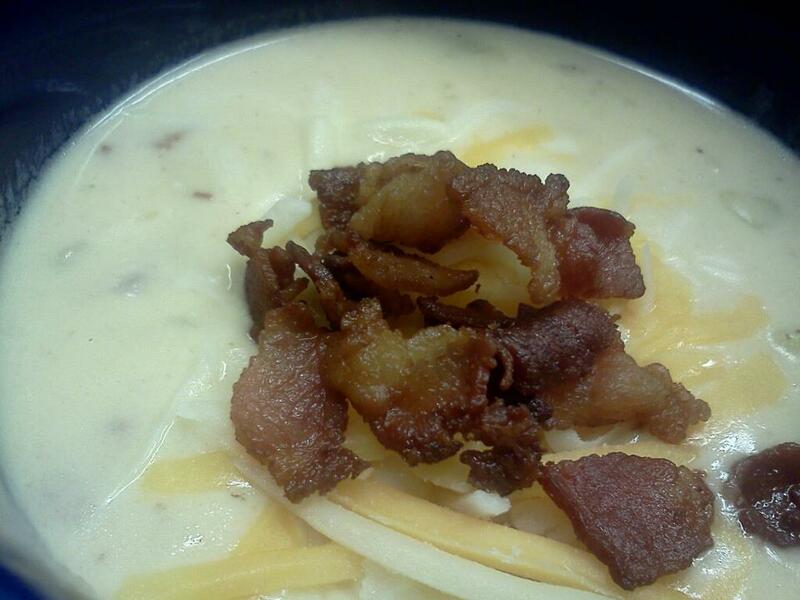 Fry bacon in large soup pot until crispy and golden. Remove from pan and set aside on paper towel. Add onion to pan with bacon fat and fry until soft. Add butter and flour and stir over medium heat for 2 mins or so to cook off the flour. Add the milk gradually, stirring. Add bay leaves and chicken stock cube and let soup come to simmer on medium-low heat stirring often to prevent burning. Add 3/4 cup of the cheese, half of the cooked bacon, raw fish, potato and cheese soup and let soup simmer until fish is cooked and broken apart. Add S&P to taste. 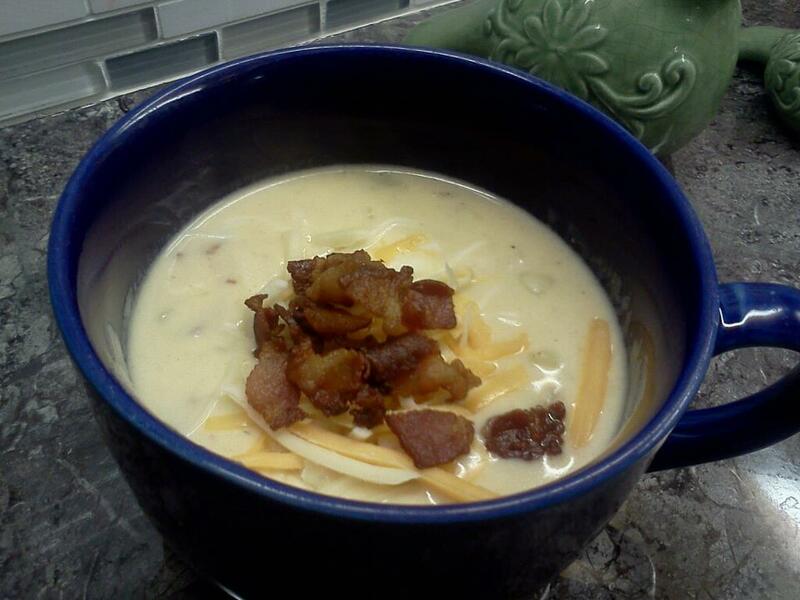 Serve topped with remaining cheese, bacon and green onion if desired.